Deeply puryfing mask with active charcoal removes dead skin cells and pores impurities. The mask helps to reduce the excess sebum and to mattify the skin. Prevents from new blackheads to appear and helps to neutralize toxins and free radicals. 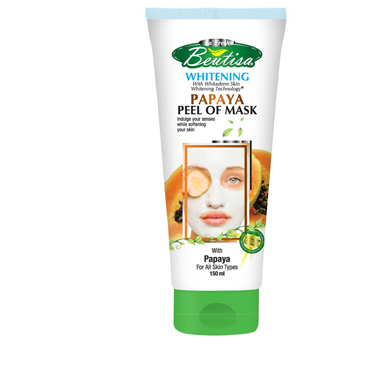 Natural, peel-off mask with papaya from Beutisy has natural astringent properties that reduce the lubrication of the skin, narrow pores and help in applying the primer. This mask gently removes impurities while papaya makes the skin smooth and soft. Our mask is perfect for the summer, when forgoing makeup means that the skin needs to present itself as the best. Natural, cucumber peel-off mask has natural astringent properties that reduce the lubrication of the skin, narrow pores and help in applying the primer. 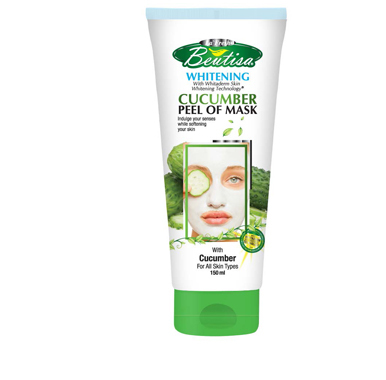 This mask gently removes impurities, while cucumber makes the skin smooth and soft. Our mask is perfect for the summer, when forgoing makeup means that the skin needs to present itself as the best. Dopieść your senses and give the skin softness. Natural, peel-off mask with lemon has natural astringent properties that reduce the lubrication of the skin, narrow pores and help in applying the primer. 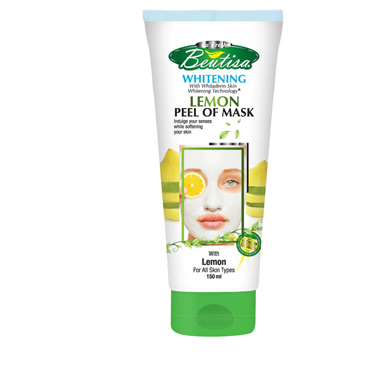 This mask gently removes impurities, and the lemon makes the skin smooth and soft. Our mask is perfect for the summer, when forgoing makeup means that the skin needs to present itself as the best. Dopieść your senses and give the skin softness. Natural, olive peel-off mask has natural astringent properties that reduce the lubrication of the skin, narrow pores and help in applying the primer. This mask gently removes impurities, and olive makes the skin smooth and soft. Our mask is perfect for the summer, when forgoing makeup means that the skin needs to present itself as the best.